Home Chef-Cooking-Culinary Arts So you Want to Be a Chef? If you have been longing to become as chef, this culinary arts is a great career choice. It helps you much, if you have previous interest in cooking. Most of those who are looking to become chef; do so by ensuring that they have chef courses that are needed by the hotel management, before you get employed in the hotel of your choice. The word “Chef” comes from the french word “chef de cuisine“ indicates a professional, more specifically saying, the chief cook or head chef or master chef, works as a boss or director in the kitchen, who is employed in hotel, motel, restaurant, resort and other establishments for preparing and cooking food in large quantities. According to the latest report from Bureau of Labor Statistics (May 2015), there are 129,370 people working as chef and head cook in the United States. As long as we the people exists in the world we will need food. So huge opportunity is very much available in this multi-billion dollar industry. In fact, this food service industry has been the number one retail employer in United States for many years. But still the demand for trained chef is more than the available workers. So it indicates that if you are trained and skilled enough then you can easily launch on a job with a higher salaries and more benefits than what you may get in other industries. Love of food is the prime reason for many people which comes directly from their heart which motivated them to enter in food preparation industry. Many people have inborn passion to work with food. These people want to cook, invent new dishes, go to market and buy cook books, watch cooking TV shows. They devote their life to fulfill their passion. If you are someone find these similar with you then you should step forward to enter in this industry. Many big chefs have their own business. In fact, many students or teenagers are entering in this industry to fulfill their dream which is to open their very own restaurant. Having a restaurant will not only give you financial freedom but will give you full control over your career, freedom to express your creativity and skill. 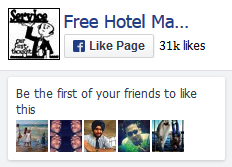 You should know hospitality industry is a glamorous industry. It doesn’t only offer great salaries and benefits but also provides chances to have great exposure. There are many chefs who are celebrities nowadays. They go to TV shows, write books, judge on reality shows, write blogs, work for Hollywood celebrities, share cooking tips on social media sites like Facebook or instagram and have high volume of fan base. Surprisingly there are in fact few channels or whole TV networks only for showing cooking from all round the world. Yes not every chef can be a celebrity chef and in fact the number of such are very few but who knows you can be one of them! By born, many people like travelling. They don’t want to live life in single places. They love to explore new countries, new cultures as often as they can. If you are someone then you should try to become chef. By working in this industry you can get job in any pats of the world and in that way learn different cuisine. Cooking is such vast field that even a 100 years of life will not be sufficient to travel different parts of the world and learn different varieties of cooking style and elements from different countries. Some of the best chefs you see, come into profession later in life. Of course when looking for chef courses, you want to have a chef school that has reputation, right? But regardless of chef school that you go to, you need to first evaluate yourself, to determine whether you qualify to become a chef or not. Chef is not a career for everyone, that’s a fact. 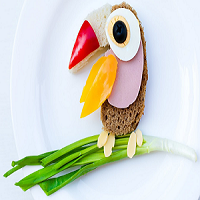 The culinary arts demand that one have the necessary creativity, if he or she will become a reputable chef in future. More often, a meal is made interesting by the way it’s represented on the plate. Being a chef, you realize that you will be handling more of the staff problems, coming up with new and exotic dishes. Good sense of creativity helps to compliment chef courses that one might have gone through, and end up finding new ways of preparing old dishes. Chef schools in California have been known to give best career in matters of hotel management, and more so in making the best chefs. But the only way that these chefs make it in life, to influence the hotels and hospitality industry out there, is because they learnt to put a great deal of their effort into improving how they were, when they were in school, not only for the sake of cooking, but also to improve themselves. One needs to study the craft, and also be willing to study art of cooking, how preparation is done, and same well as the presentation. This makes the whole chef career interesting and unique. Practicing things in hand-on way is very important for one to get the full study, whether studying in chef schools online or at a local place. No one great chef who has made it to master any dish without constant study and practicing. Hence combining good chef schools will help you to get the experience and devoting yourself makes this profession successful. Any person who gets the degree in chef must have completed the chef course to a predetermined level by the school. For you to get through the time and study it takes for one to be a chef, will require motivation. Having motivation will make you to get the credentials that you were hoping for, before you think of which hotel to work for. As with all things which require much effort, at times you need to talk to yourself and reassure you that you are going to get the chef course, and be happy at the end. You must see yourself becoming a great and one important chef, who have demand in any workplace, which deals with hospitality and hotel management. Motivation is a key to succeed in any chef career. Working in food preparation industry is much tougher than normal people anticipate from outside. A Chef has to have great psychical stamina. As the career demands, a cook or chef needs to stand on his feet for a long time, lift heavy kitchen equipment. If you are too weak to perform all these but really have passion then you should start working on body building or at least gain some physical strength. A head chef needs to communicate with cooks and other sub ordinates. Strong communication skill and leadership quality is highly needed in this highly stressful job. Not only you would need this skill in your workplace but if you want to set you apart from the crowd by doing public speaking, appearing on TV shows, teaching on institutions, you will need this skill. Good memorizing skill and ability to give attention to the details are one of the prerequisite of great chefs. As a chef you have to memorize tons of cooking methods, ingredients, order sequence etc. Also different guest would have different need. So caring for detail instructions is a habit and skill of successful chefs. Because of the nature of the job, workplace like Kitchen could be the minefield of injuries. You may cut, burn or crack your hand or finger or injure yourself in threatening physical damage. So at times cooking can be dangerous. Tips: Do read our tutorials like how to avoid cuts in commercial kitchen or safe knife handling guideline etc. As said before, many may want to become chefs but not all will make, only those who meets the requirements. Knowing your specialty and the current level of training, where you will be studying to add more skills and competency, where to go after getting the chef degree among others also adds to the list of things you should be conversant with. Culinary cooking schools can be very rewarding. They teach you on new skills on kitchen and how to deliver the respect which comes from your profession. Opportunities in the culinary arts are diverse and thus ensuring that you line up with the education you have, will help you to use the opportunity field. Nobody knows where the chef training might make you in time to come, and thus, if you have what it takes, go for it. All in all if you really want to build up your career in the field of culinary arts then you are highly recommended. Wishing you to have a great career ahead.